With the departure of Mark Webber from Red Bull, there is most certainly an open slot in the game of F1 musical chairs. The most buzz is with Kimi Räikkönen making the move to Red Bull alongside Vettel and while I don’t think that will happen for a number of reasons, it seems a foregone conclusion (according to some writers) at this point. In the same vein, there are grumblings of Romain Grosjean being on rolling 3-race contracts. It only seems logical that by the end of the season, at least one of these two seats will be vacated. The question is though – assuming one of these guys sticks around Lotus and one moves on - who will fill the open cockpit at Lotus? Paul di Resta is arguably the most promising driver in the mid-field. With top 10 finishes in 50% of his race starts, he clearly has the talent to manage a mediocre car and the racecraft to keep himself out of trouble. Di Resta has been linked to Ferrari, but I don’t see any reason for Ferrari to dump Felipe Massa and Jules Bianchi. On the other hand, Paul has greatly impressed and is considered a strong contender for an open seat with the front-running teams. He’s had two fourth place finishes in his career, holding off Nico Rosberg at Singapore in 2012 brilliantly, and almost nailing a podium in Bahrain this year before being overtaken in the closing laps. Overtaken by none other than Romain Grosjean, I might add. So it’s clear he has the racecraft and the speed. Does he fit the bill for Lotus? It may depend on which driver is let go. Di Resta by all accounts would make a superb second driver to Kimi Räikkönen. He would push hard enough and probably beat the Iceman on a few qualies and in a few races, but would likely be consistently astern of the Finn. This is enough to get Paul more solid points than he does now, and possibly get Lotus more solid points than they do now (since Paul is a little less crashy than Grosjean) and maybe push Räikkönen a little harder than he is now. But what about a pairing with Grosjean? Honestly, it doesn’t appear to be a match made in heaven but perhaps there are things they could learn from one another and it could be a good in-team rivalry to put the spark under the both of them. Di Resta is a rising star. Few dispute this. He’s in for bigger and better rides in the coming years. Even fewer dispute this. The question is whether that will be in 2015, who it will be with and whether he will be a peer-driver or a number two. If Lotus drops Grosjean, I’d put my money on Di Resta. Jean-Éric Vergne has been a pretty epic qualifier this year. He’s also had some pretty rotten luck. Four retirements of ten races is not so good, but that being said he has done reasonably well if you exclude these races. With Ferrari, Red Bull, Mercedes and Lotus being ahead 100% of the time the best JEV can be expected to do is ninth… he’s had a 6th, an 8th and a 10th place finish already this year which is pretty well done. That’s 3 of 7 on what could be considered a “Midfield Podium”. Vergne will also consider moving on from Toro Rosso if he gets passed up for Mark Webber’s Red Bull seat for Daniel Ricciardo (or really anybody else, for that matter). But why would he fit in? Let’s assume Räikkönen moves on. That leaves two drivers with a common nationality and possibly a lot of chemistry (and a Sidepodcast editor with a new all-time favorite lineup). JEV and Grosjean are very similar talent-wise it seems, so they could push one another to be better and learn from one another as well. It could be a very strong lineup. One which would push Lotus ahead of some of their close competitors, but would two fairly young drivers be best during all the regulation changes? Probably not. Grosjean has been around the team for a while, and consistency is good when so many rules are changing, but Räikkönen might be better. Again, Vergne could potentially be a very strong number two driver for Räikkönen but maybe has too much ambition to stay secondary for too long. 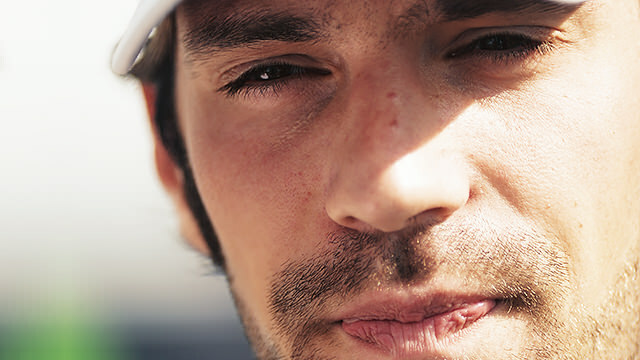 Vergne may be too hot-headed to backup someone like Kimi for more than a year or two. Di Resta on the other hand is cool as a cucumber and may be a better choice. 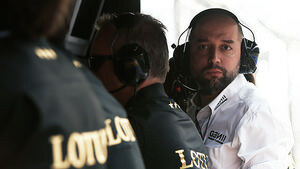 All that about Paul Di Resta and Jean-Éric Vergne being said, it’s entirely possible that Lotus will want to save a bit of coin. Further, they have a stable of talented reserve drivers who could fill in the gaps. What kind of driver is cheaper than one who hasn’t piloted an F1 car in years, or ever? Lotus has a very competent test driver in Jérôme d’Ambrosio. He’s had a season of racing experience (albeit at the back of the field) and he’s shown that he’s reasonably quick during testing. He’ll also have a sensible contract, unlike Kimi Räikkönen whose credits are apparently not being paid by the Enstone squad. So Jérôme is an option. He’s not especially buzz-worthy at the moment, but perhaps he would be a good, budget-conscious option for the team. Davide Valsecchi, on the other hand, is very buzz-worthy. Current GP2 series champion, a driver in Formula Renault, Formula 3, Formula 3000 and sports cars – Valsecchi has been all over the place and has shown that he can drive anything with four wheels rather quickly. At age 26, he’ll also be an option for the team to develop and grow-from-within into a very solid performer over the next few years. In all likelihood, he’ll be reasonably priced as well having never driven in F1. As far as the pairings, there is no reason to believe that Davide would clash with either Räikkönen or Grosjean. He could play a solid number two driver to the Iceman, and a similar role as Vergne would play teaming up with Grosjean – a young driver to set the fire under one another. In short, one of Lotus’ reserve drivers may make for a good second Sunday-driver for the team. They’ll be reasonably priced in all likelihood, they’ll be decent pairings with the current drivers and will probably be quick enough to be a solid points scorer for the team in 2014. While Di Resta and Vergne would be probably better choices for the team from a points-scoring perspective, my money’s on one of these two getting the nod for 2014 if Grosjean or Räikkönen leave. Change is difficult. It is especially difficult when so many different regulations are changing. A team would presumably want to keep hold of their current drivers during a period of such turmoil. Unfortunately for Lotus, it looks like that may not happen. Something has to change and maybe Éric Boullier is happy to hope the rule changes will be enough to propel their team to the front, but a smart team boss would hedge his bets and change the team structure a bit. 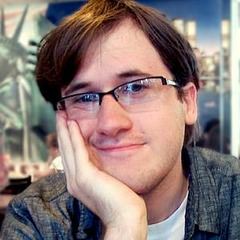 Lotus has an opportunity to get some new, young (and less crashy) blood in the team. Someone who can set a fire under their clear number one driver or who can drive another young driver to be better, depending on which direction they want to go. Obviously many restrictions are in place: money, time, other teams poaching drivers, etc. 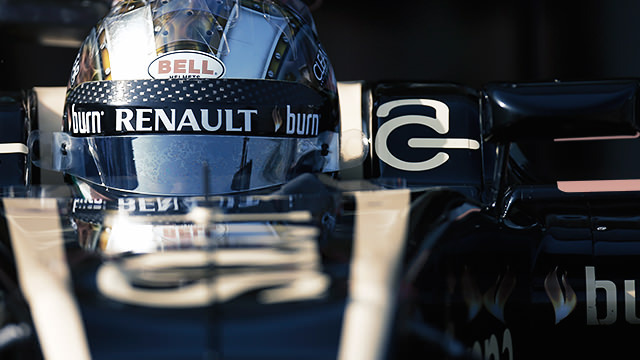 but if the Enstone outfit can get their house in order, build some serious chemistry within their team and perhaps have a bit of luck with the regulation changes, they may be able to challenge for the championship in 2014.